Many of you were abroad and saw cosmopolitan and vivid cities of LOUD countries. Their education system, political views, economic state, infrastructure, buildings – substantially differ from Kazakhstan. They were unlike your native town: without Kazakh steppe, Kazakh dugout fume, and family and friends; yet you were astonished and in love with that city or country. And you might even desperately sought for the magic button STAY LONGER! I spent one month in Hamburg, and it endued me with unforgettable memories, awesome impression and sunny pictures. I still remember those days I wandered the city without any worries. Breathing the fresh air, I wrote my plan for future in my mind – “I will definitely come back to Hamburg to study, work, live and make it mine”. I decided that myself, without advice and support of my parents, without any rationales. I was driven by some demonic power, betraying my home country for such perfect, sinful, beautiful and ruthless city. If it was enough for me within one month to come up with such idea of leaving my native country for another, what happens with those Kazakhstani students who study abroad for years? They might even build their family and search for high paid jobs. The only thing that might return students back is collateral charge and 5 years of workout, which is imposed by Bolashak program. However, it does not make students motivated to come back and find job. For the whole history of Bolashak program, 47 student did not return, and preferred the life abroad to Kazakhstan (link). There is only one answer for such phenomenon – lack of patriotic feelings of our nation: young generation, kids and parents. Now people stopped propagandizing patriotism, teaching their children national identity and value. Human-beings always seek to find better place with better conditions, but as long as we are citizens of Kazakhstan we have a duty we should pay, serve for our country and citizen fellows. Once my foreign friend said to me “Meru, it is awful what’s happening in your country, you should flee Kazakhstan immediately!” I answered “No way!” and my pride grew higher, as I texted him. I have my country, family, friends and home, and I will never abandon them. I have realized that I am not a weak person, who seeks only easy ways and yearns for luxuries. I am a strong individual with strong visions to protect and treasure what I have. And I will do everything to contribute to the development and prosperity of my Kazakhstan and Kazakhstani people! Angela Merkel, “die Eisen-Frau” translated as Iron-woman, recognized as the most powerful woman of not only Germany but the entire Europe. She is characterized as arid like Sahara – emotionless, and cold machine – rational and rigorous in making decisions. However, these very features brought her to successful leading position. 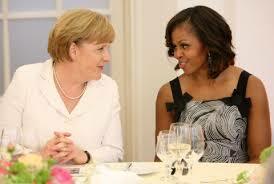 Angela Merkel was a very ambitious girl in her youth; she yearned to succeed academically and professionally. Her parents were the ones who encouraged her to choose career in politics, although her interest lay in science. Having her doctorate in quantum chemistry, she never flinched to try her luck in politics. Like majority of successful and outstanding businessmen or leaders, Merkel made her path from lowest position: unpacking the boxes in the office of Democratic Union’s Party to the highest: leader of Christian Democratic Union. Later become a chancellor, which was not even impeded by any struggles because of her strong politic disposition and ruthless attitudes in a political realm. 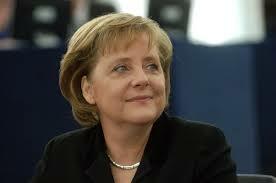 Now she is a part of Germany’s history for her unforgettable deeds, and economic raise in a cruel world (Macias, 2015). I hope you agree with me to the point that Merkel is the most astonishing woman leader for all epoch who reached this title by herself solely. She was never brought by successful man’s hand to a higher seat in Chancellery residence, like Michelle Obama – First Lady – entered the White house in virtue of powerful man. The whole nation accepted Merkel as a leader, who will serve to the needs of the citizens and will not pursue her own interest like Hilary Clinton, who was driven by political ambitions. She is not shining example who enchants audience with perfect speech like Margaret Thatcher, but she rather is behind the stage, gaining patience, making hard political decisions and propagandizing “solidarity” (Kenny, 2015). Though, she behaves as a man in a male-domineered sphere, and acts like a woman in her family. She chooses conservative approach and calls everybody to consensus. Her leadership style sets substantial example to me, despite her stereotypes “acting like a man” in order to succeed. I know many people at GSE, especially women professors like Aliya Kuzhabekova and Aida Sagintayeva repeated many times to “choose family not career or family first, career next”. There is always a sacrifice we have to make, and we all know that. Either we refuse from family and chase career, or we choose family and sacrifice with our ability and chance to become a Leader of all time. How do you think, is there any possibility to build a balance between career and family and still remain successful woman leader, not becoming husband’s shadow, or bad mother/wife? Or is my theory true, in order to be successful we need to give up on one thing, and you can be either great wife/mother or great leader? Once, walking to the dorm, I heard two guys saying: “Eww, he is a gay”. Few years ago, I also had a feeling of abhorrence towards LGBT (lesbian, gay, bisexual and transgender) people and might have reacted like them ostracizing such personality from society. Since I had experience of studying in Hamburg, I saw a diversity of people who were accepted by society. It totally changed my opinion and attitude towards sexual minority. I witnessed how people communicate and share opinions with each other in spite of their sexual orientation. This issue, discriminating LGBT representatives, is rooted mostly in the US Universities. Students started to hide or constrain their real identity in order to avoid physical, psychological harms and discrimination among the peers. Meanwhile, those who openly revealed their identity and sexual orientation were in a high risk of facing such challenges abovementioned, which even led to suicide actions in some cases (Rankin, 2005). Not only peers of LGBT students, also some university members treated them unkindly by undertaking such actions like “ferretting and expelling from the university, later persecuting them, destroying their lives and career” (Trammel, 2014). 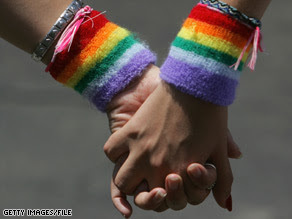 Keeping in secret the sexual orientation of one’s would affect his/her well-being and academic achievement. Moreover, researchers figured out that students who disclosed their gender identity and were accepted by the community or society showed higher academic achievements, active participation in campus life and good emotional state (Rankin, 2005; Woodford et al, 2012). If universities accept these students and create a secure environment for them, it will be beneficial for these universities in terms of having diverse individuals in class, talents, and experience of working and managing with LGBT students. According to Trammel (2014), LGBT alumni contributed a lot to their alma mater Institutions. For example, a gay alumnus funded Williams Institute of California; Princeton University created a national funding network with the help and contribution of gay alumni. Apart from USA examples, LGBT students also suffer in Kazakhstani universities as well. Since teachers do not understand and accept the diversity and difference of human beings, they often tend to level down their grades or publicly humiliate them. University serves and exists due to students and its duty is to accept and include everybody. So, why not to consider the homosexual minorities’ rights and accept them in society, embracing the talent and student diversity? When will our society change their attitudes, perceiving everyone as they are, like Germans do, and live in a peace without any discrimination? How can we indoctrinate such an ideology to our Kazakhstani people? How can we make sure that everybody, in spite of their gender, race, sexual orientation, is equal not only in education but even in society? Rankin, S. R. (2005). Campus climates for sexual minorities. New Directions for Student Services, 2005(111), 17-23. Woodford, M. R., Howell, M. L., Silverschanz, P., & Yu, L. (2012). “That’s So Gay!”: Examining the Covariates of Hearing This Expression Among Gay, Lesbian, and Bisexual College Students. Journal of American College Health,60(6), 429-434.